Fabricated discrete models designed to application needs in custom styles, configurations and materials. 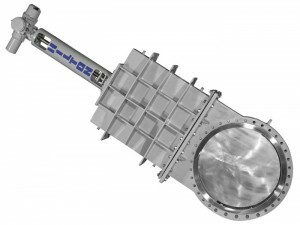 Can be designed in a variety of port configurations and sizes. Metal or Resilient,Uni-directional or Bi-directional with options for removable seat, inflatable seal or grease seal. Optional abrasion and corrosion resistant designs with hard facing available in Stellite, Tungsten Carbide, Pulse Fusion. Others includes custom configuration of the face to face, actuation, etc. of the other valve styles.